Can You Forgive Her? is the first of the six Palliser novels. Here Trollope examines parliamentary election and marriage, politics and privacy. As he dissects the Victorian upper class, issues and people shed their pretenses under his patient, ironic probe. 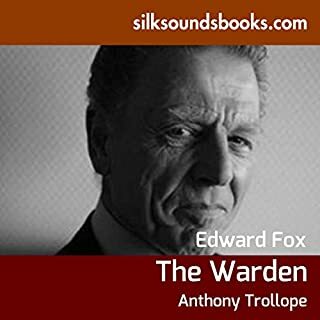 Anthony Trollope’s The Warden was the first of Trollope’s hugely successful Barchester Chronicles, appearing in 1855 and reversing the rather unfortunate sales of his previous three novels. It concerns the story of Mr. Septimus Harding, Warden of Hiram's Hospital almshouses and Precentor of Barchester Cathedral. Probably would have been better read as a book. 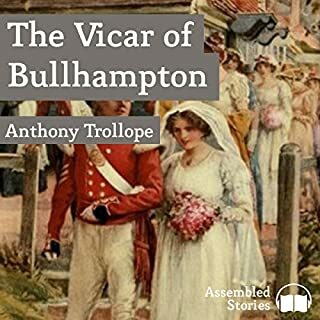 Often considered to be his masterpiece, Anthony Trollope's 1869 novel explores the themes of marriage, love, and the rights of women in 19th-century England. With a cast of independent, forceful characters and lively subplots, Trollope creates a penetrating and often comic dissection of the mores of Victorian society. "He Knew He Was Right" is a tragic and humorous examination of the institution of marriage in mid-Victorian England. The major themes have contemporary relevance, and the stories and characters are beautifully crafted. Nigel Patterson's reading is of the highest quality, giving life to the characters and with a convincing narration. Trollope regarded this novel as a failure, but it stands favourable comparison with his major works. The first time I encountered Anthony Trollope’s most popular work, He Knew He Was Right, was in a BBC production. My teen aged children and I enjoyed it. I had not read the book that the mini-series was based on. When I was offered the opportunity to review the book narrated by Nigel Patterson, I was happy to finally get a chance at the source. meets the girl of his dreams, Emily Rowley. Although Emily has been raised outside of England, she does come from a good family as her father is the governor of the colony. Emily and her family travel back to England for the wedding. The first two years of marriage are wonderful complete with a baby boy. Then Louis begins to take exception to an old family friend, a man her father’s age, visiting Emily. He demands she no longer see the man because he suspects infidelity. Emily digs her heels in and refuses to end her harmless friendship. Louis takes it as proof that he wife is not faithful. There are several subplots to this book, which is over 300 pages in print and 30 hours in audio. The subplots involve other couples including Emily’s sister, Nora. Each couple has their own challenges to overcome, several involving social standing or economic position. While the subplots are interesting, it is Louis and Emily’s story that is the main attraction. I did have to keep reminding myself of the 1869 publication date because I had a persistent and overwhelming need to slap Louis. Emily never, in deed or word, gives him cause to doubt her but he is so insecure he cannot trust her. It is a combination of Emily’s stubbornness and Louis’s insecurity that cause this to blow up into a major disaster involving both families and dividing friends. That being said, it really is a great book and worth the impulse to slap Louis. Mr. Patterson does a great job narrating this book. He captures the characters and their emotions. He also handles the language well. Sometimes narrators can allow the more formal language of the 19th century to sound stilted but Mr. Patterson does not. He makes the language flow naturally. I have not had a disappointing listen from Mr. Patterson yet. 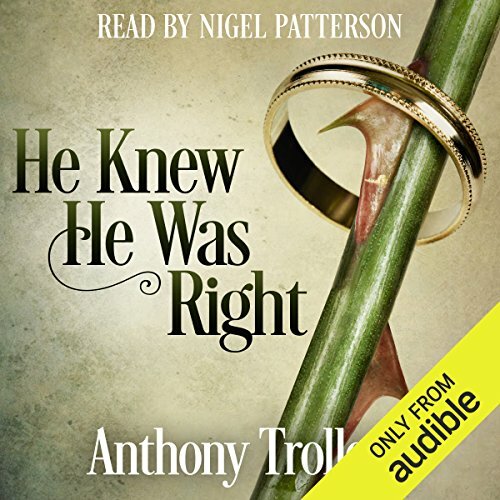 If you are going to invest in He Knew He Was Right as an audiobook, get the right one with Nigel Patterson as the narrator. Interesting story about a man who becomes convinced, wrongly, that his wife has been unfaithful to him. 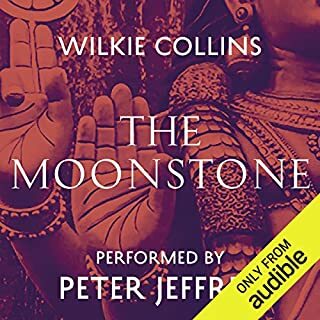 Nigel Patterson is a terrific narrator. The book holds up well, although the end — good news for some of the characters, but not for the man who knew he was right — is drawn out longer than it should have been. I only wish he were still living and writing! anachronistic, yes, but frankly who cares? For a single large Trollope novel the characters become part of your life over time. Almost sorry to end the story. What did you love best about He Knew He Was Right? The narration by Nigel Patterson who kept me listening long past the point I would have stopped otherwise. I can't truthfully pick a favorite character. Each with their quirks kept me so discombobulated that I had a hard time liking any of the characters for more than a chapter at a time. I wanted to slap sense (gently of course) into the lot of them most of the time and found myself talking out loud to the characters at what fools they were being. Nigel brought richness to the performance and gave such personality to each character which meant I was never in doubt about which one was 'on' at any given time. This is not the kind of book I would have picked as its subject matter is not to my taste but I was given a copy for an honest review. This is not a bad book but if you're a person who is easily frustrated at things you can't change (evidently I am) its not for you. You'll be so frustrated by the end of the book that you'll need some meditation or a long walk to De-stress. 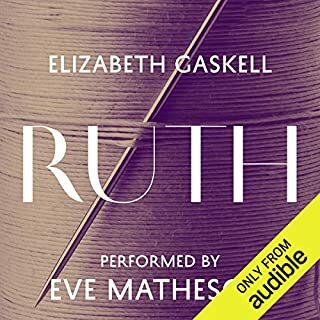 I love books and love to read, and as I stated before this is not the type of book I would normally pick and I am aware of why after listening to this one. For me the saving grace was the narration by Nigel. Making the subject of a character's psychology the subject of the novel represents an unusual approach for Trollope. In He Knew He Was Right the husband deludes himself into the certainty that his wife has betrayed him and he gradually slides into a devouring delusion that destroys his marriage, his life's normality, his body and, ultimately, his sanity. The husband's jealousy is baseless, but understandable. Trivialities are blown out of proportion by the husband's suspicion on and his wife's outraged dignity. He [or She] Knew He [She] Was Right is the awful knell that drives so many people over the edge. Trollope effectively presents the seeming logic of the sundered couple, each of whom feels certain of his/her righteous position. Over and over again, neither husband nor wife can make the ultimate sacrifice and admit herself/himself wrong. The situation is torture, painfully depicted by Trollope. The emotional and psychological tug of war goes through many permutations until all reason is gone. 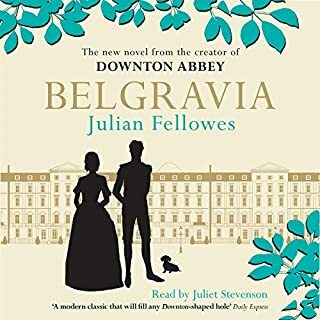 In the end, Trollope cleverly lets us understand that both husband and wife have carried off his/her own conflicting and cherished delusion as confirmed belief. 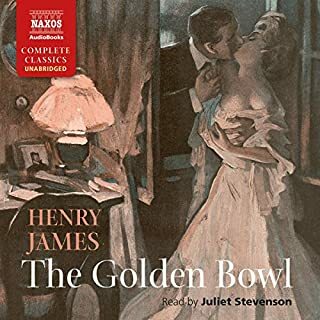 There are several stories going on in the novel, however, This book centers around Louis who accuses his wife, Emily, reputedly of having an affair with Colonel Osborne. - The other stories are about Emily's sister, Nora, and her suitors. - An affair between Mr. Glascock and Miss Spaulding. - And, Gibson not being able to decided between the sisters, Arabella and Camilla. Overall, this was a very interesting read. Nigel Patterson did well with the narration. I think this story may be a bit too long, although I still enjoyed it very much. However, the narrator is absolutely wonderful! The only reason I give the performance 4 stars instead of 5 is that the American voices in this novel ring untrue. Also, the characters too frequently drift into one another. It is an immense achievement anyway, to read through 30 hours of narrative and deliver distinct voices and cadence. I prefer Timothy West, but Mr. Patterson does an admirable job. I love Trollope so I easily ignore most of the repetitiveness of the story’s characters and their relentless world views. For me, this work immerses the listener in Trollope’s own domaine. It rolls on and loops back, carrying us effortlessly along for the ride. There are laughs — including a key character‘s oft-repeated name — and groans, and a weirdly pre-feminist look at marriage and male dominance. It’s a tragedy you don’t want to end. Not because you enjoy finely drawn human defects and suffering, but because Trollopeville is just a great place to be. Written in 1869, He Knew He Was Right, tells about life in England in "the good ole days". Nigel Patterson does his usual superb job narrating. When Patterson reads you can be assured that it will be marvelous! 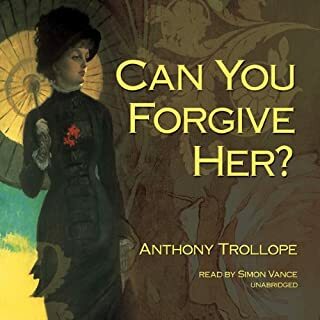 I have just listened to the unabridged version of He Knew He Was Right, Trollope's long, dark novel of the breakdown of a marriage, read by Nigel Patterson. The first thing that strikes me as I listen to Patterson's narration is how much younger he sounds than I expected. Surprisingly so. His voice does not conjure up that middle-aged, bearded father figure, lugubriously expounding for the benefit of his family audience, but instead comes across as a pleasant and lively conversationalist, relating the tale to you. Given the intensity of the subject matter and psychologically deep waters he negotiates, Patterson manages to propel you through the story so that the pace does not flag while doing more than adequate justice to the drama of the unfolding catastrophe. 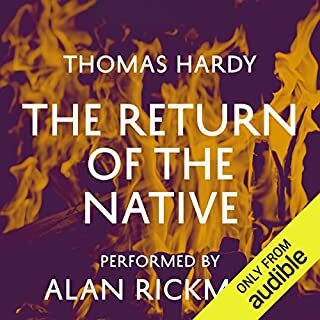 A quick comparison with several of the other audiobooks I have experienced revealed that he reads some 20% quicker (more words per minute) than the narrators of other "classics" to which I have listened. His pace is more akin to that I have found in audio versions of modern thrillers . He achieves this pace while maintaining absolute clarity of diction, which makes listening both pleasant and easy. 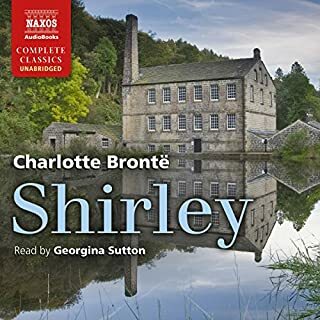 As with the best of other narrators to whom I have listened, he manages to maintain the sense of the convoluted, many-claused Victorian sentences for the listener with careful attention to the punctuation pauses to convey the impact of the meaning. He also handles the dialogue with a sure touch, whether it be male protagonists' or females' speech he is pronouncing. I never lost the thread of the conversations as he shifted from one speaker to another and back. Overall the experience felt refreshingly current, as befits the theme of the material and I would not hesitate to recommend this to anyone looking for a new interpretation of how to approach Victorian classics. Would you listen to He Knew He Was Right again? Why? Only if I had a version of it narrated by Timothy West. What was one of the most memorable moments of He Knew He Was Right? I don't want to spoil it for anyone who hasn't read it yet. It came near the end. Would you listen to another book narrated by Nigel Patterson? Not if I can help it! He was reasonably good at the narrative but when it came to dialogue it was awful. The accent and inflections was totally wrong and spoilt the book. 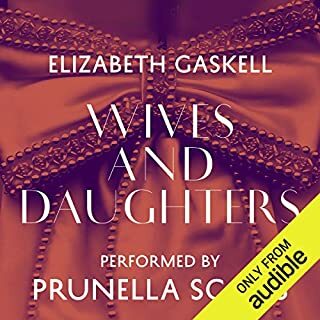 I came to see if there was one narrated by someone else to swap, but it is currently the only version of this book on Audible so I had no choice but to keep listening. A lot of it was moving. 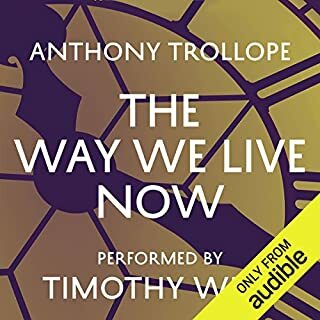 It's such a shame that Timothy West hasn't narrated this book as he has done a lot of Trollope's other books superbly. I am sure that Trollope would have been an excellent TV series writer if the medium had existed in 1869. That is what the book is like when you listen to it, but with some language quirks. What did you like most about He Knew He Was Right? It's an entertaining story, I read because it's included on the 1001 books to read before you die lists and was lucky to have an opportunity for a free copy for an unbiased review. I was dubious about reading Trollope but was told this isn't a bad one to start with, and I enjoyed it for sure. Good performance overall. He presented this really well. I will be reading more Trollope based on my enjoyment of this one. 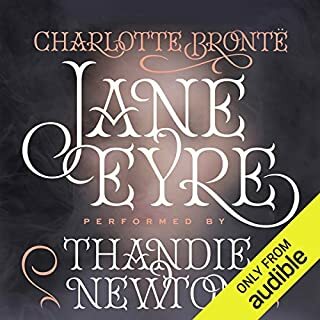 Timothy West makes an excellent job of narrating all Trollope's novels. Can't recommend highly enough.